The year 2016 started off quite depressing for the European Union. At the very beginning of the year forecasts started piling in of the impending suicide of the Union, and not just by anybody, but by its institutional leaders. euinside’s text about the upcoming suicide was the most-read one for the entire year 2016. Causes for the European political elite’s depressive condition were the refugee crisis, the economic aftermath of the crisis, and the upcoming Brexit. The Union, however, did not commit a suicide. Quite the contrary. Not only did it refuse to commit suicide, but it recalled why it exists in the first place and that this continues to be a valid reason to continue to live. The depressive state consumed the Union again in the autumn after, at the beginning of summer, Brits did finally prefer to leave the EU. The annual address of the boss of the European Commission, Jean-Claude Juncker (Luxembourg, EPP), on the state of the EU was very depressing. After painting the bleak picture of the state of the Union, Mr Juncker set a task for the 27 for their informal summit in Bratislava, at which they were expected to draft their vision of the future of the Union. The task was to provide three reasons why the EU is necessary. Alas, they did not even make the effort to discuss this issue during their one-day gathering in the capital of Slovakia in mid-September. Moreover, some member states stated that due to the fact that Juncker is not the head of the Council, there were no discussions on his appeal. The issue, however, is quintessential, so euinside decided to send out the same question to all member states, but it got replies from just a few. The answers were quite general in nature, but despite that some of them give some idea about what the direction that member states, which replied, want the Union to develop in. The most comprehensive and speedy reply came from Finland. Helsinki’s position is that the EU’s most important task is providing peace, security, prosperity, and the rule of law. Finland advocates for the community approach – meaning staying at the level of European institutions and European law, instead of intergovernmental agreements. “EU membership is a political choice that connects Finland to the Western community of values”, is written in the Finnish government’s programme. Helsinki believes that the Union needs to be reformed to improve its functioning, but any amendments to the founding treaties need to be avoided. According to Finland, the EU needs to concentrate on the most important issues and does not necessarily need to deepen integration in all spheres. Main priorities to Finland are the energy union, the defence union, and cooperation in the field of security. The country is traditionally positioned against solidarity when it comes to bailing out states in trouble within the euro area. Sweden, too, is against any changes in the founding treaties, but is also of the opinion that it is high time that member states begin administering the decisions, made by consensus. The Swedish government’s priorities are employment, a more ambitious programme for environment protection and fighting climate change, and a long-term sustainable migration policy, which guarantees the right to an asylum. Stockholm backs the position that all members must accept their responsibility in dealing with the refugee crisis. This means that “all member states have reception systems with sufficient capacity, a legally secure asylum process, an equivalent assessment of the need for protection and certain basic rights linked to the need for protection". Main priority to Estonia is taking advantage of the digital world. In a special article by the already former Estonian Prime Minister Taavi Rõivas it is said that it is high time that the four freedoms of the EU common market be joined by a fifth one – the free movement of data. This is something which the now former President of Estonia Toomas Hendrik Ilves talked about during his address to the European Parliament in 2016 (this was also one of the most-read articles of euinside during the past year). Austrian Prime Minister Christian Kern shared his belief that the EU is still capable of returning to its initial idea – being a project of hope. In his opinion, the main priority needs to be the battle against tax evasion by multinational companies. He thinks that although important, the issues of the powers of the boss of the EC, the Council, or the European Parliament have no direct effect on citizens. They are interested in whether the EU has improved their life perspective. “Europe must once more become an Enlightenment project, not simply one for the markets”, he wrote in a special article regarding the Bratislava meeting, which was forwarded to us by the Austria embassy in Zagreb as a reply to our question. The reply of Hungary is not as Eurosceptic as could be expected. 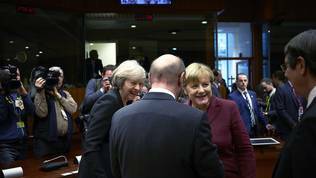 According to it, the EU needs common armed forces, an institutional reform, unity at the common market – which means protecting the four freedoms – innovation, and enlargement. According to Budapest, the main problem of European politics of today is the existence of a gap between the actions of European institutions and the expectations of societies in many member states. The first step to bridging that gap needs to be the reinstatement of trust, says the Hungarian reply. Hungary is of the opinion that the Union needs more time for diagnostics before making a decision on the reforms legal framework. The Hungarian position is that the EU should return to the idea that member states stand at the foundation, not European institutions. This position is well familiar from statements of Hungarian PM Viktor Orbán, who made no exception last year as well. 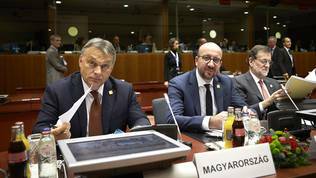 The summit in the Slovak capital brought nothing radical, but its main achievement was managing to unite member states around a single reason for the existence of the EU – preserving peace. Several years ago this sounded as a cliché, but now it is more meaningful than ever. 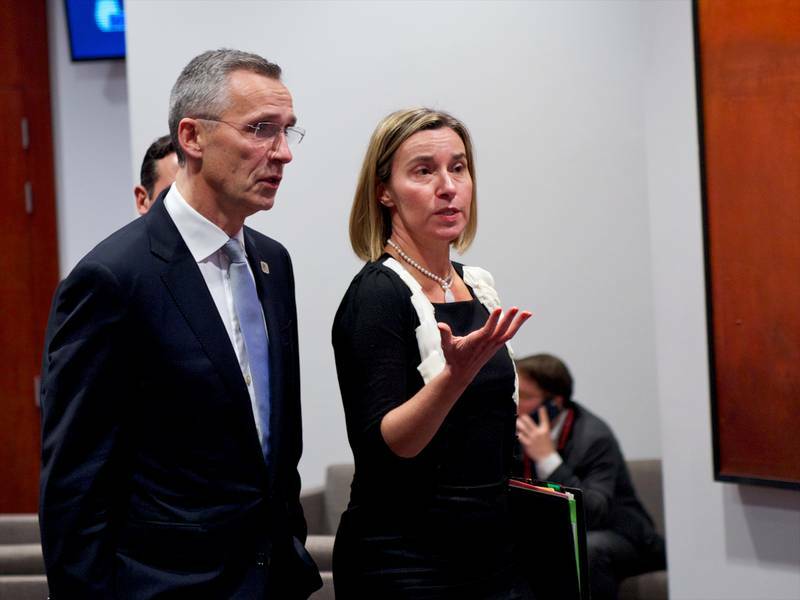 The year 2016 could be described as the year, in which the EU began reinventing itself. 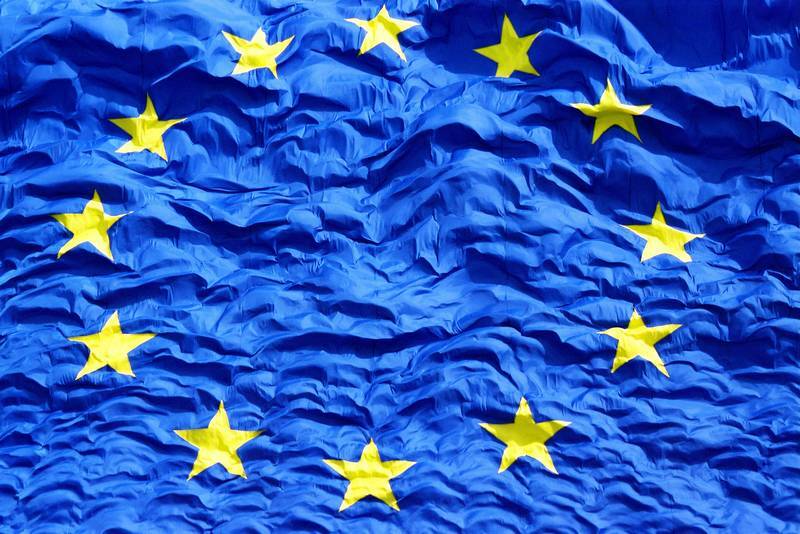 Looking back now it could be argued that a large portion of the depressive condition of some of the older European politicians were due to the realisation that the EU had given up on the ideology that dominated its evolution during the 20th century – federalism. This is mission impossible in the 21st century. The EU chose to be pragmatic. Contrary to the feeling of disintegration and walking backwards, the EU actually worked hard on the creation of common policies. The European Border and Coastguard Agency is already a fact (based in Bulgaria), active work is being done on the creation of a defence union, as well as on the building of a security union. All this is happening without resorting to intergovernmental agreements or exceptions. Compared to previous community initiatives, the new ones may look less ambitious, but keeping in mind the expectations for disintegration and suicide, those are serious steps forward. 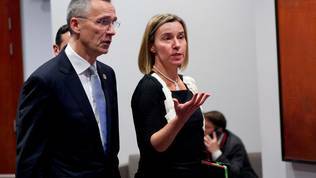 Agreement was reached to work on the global strategy of the High Representative of the European Union for Foreign Affairs and Security Policy Federica Mogherini (Italy, Socialists and Democrats). Despite having some serious zig-zagging, up to now there are no radical changes in the course of the euro area and economic policy in general. Some busy legislative activity went on in the EU throughout the year 2016. Noticeably there was work for more Union in the spheres where member states and their public opinion are aware they cannot deal with alone. Integration slowed down in other spheres and even took steps back, like with the work on the creation of a common European Prosecution, which would investigate European funds fraud. The biggest challenges the Union will face this year are the rule of law, losing the enlargement and, lastly, populism and Euroscepticism. The first one is the scariest for a Union, surrounded by authoritarian regimes, with illiberalism slowly starting to creep in the EU itself. Currently, the European Commission is waging a desperate war with Poland. Despite expectation that it will lack the courage to stand against the largest and strategically most important member state in the Eastern part of the Union, the Commission did wrap up the year with a new step against the government of Beata Szydło (or rather of Jarosław Kaczyński). On December 21, the First Vice-President of the Commission Frans Timmermans (The Netherlands, Socialists and Democrats) sent out new recommendations to the government in Warsaw, concerning ending the Constitutional Court crisis. The next step is moving toward the Union’s “nuclear bomb”, namely the activation of Article 7 of the Treaty on the Functioning of the EU, which takes away a member state’s right to vote in the Council. Should it come to this step, and surely Poland’s government will go all the way, it will make a precedent for the EU. At this stage, the Commission is left almost entirely by itself to deal with this problem. It receives support from the European Parliament, but it is a double-edged sword, for a major problem in the battle with risks faced by rule of law is that it is often blocked by partisan interests. Poland is not the first state the government of which undermines the rule of law. The first one was Hungary. The difference is that the ruling party in Poland, Law and Justice, is a member of the party of European Conservatives and Reformists. They have the third largest group in the European Parliament, but because the majority of this group are British Conservatives, it is not very influential, nor consistent. 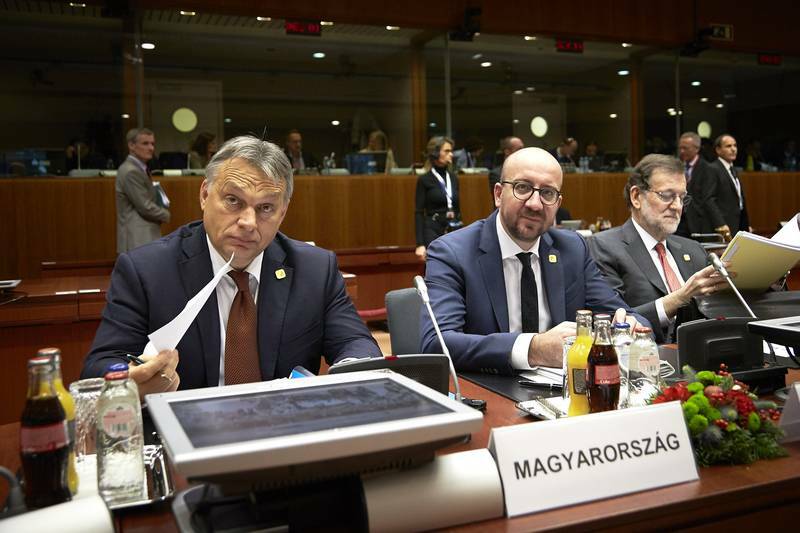 In contrast to the ruling party in Hungary – Fidesz – which is a part of the largest and most influential party in the EU – the European People’s party. If the EU fails to prove that the rule of law is a value upheld by all, as it is written in Article 2 of the Treaty for the EU, in the long run this will create huge risks for the integrity and security of the Union. Protecting the rule of law is in direct correlation to another very large risk to the EU – losing the enlargement, as euinside thoroughly reported. Should the EU fail in dealing with the problems with its fundamental values within the Union, then it will not have the legitimacy to ask those outside, and this is the foundation of its “soft” foreign policy. 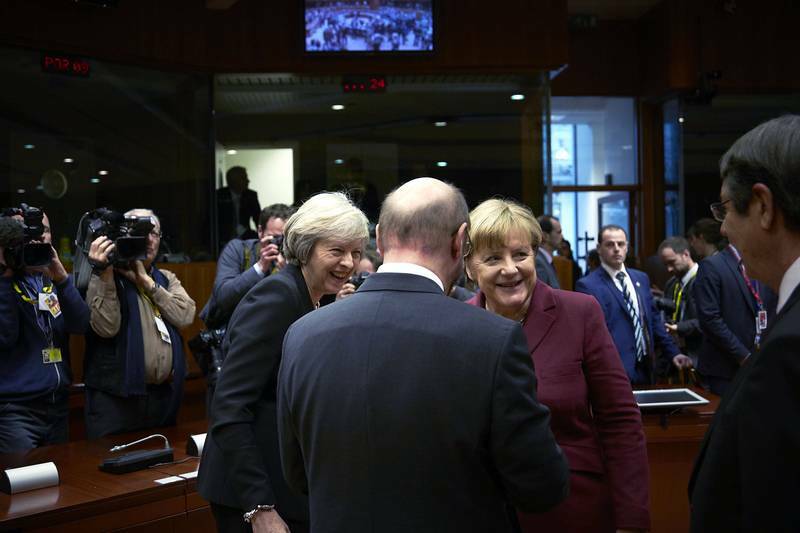 A re-orientation of foreign policy is currently underway, but the process is slow and not too ambitious, so this remains a challenge and most of all a security risk, for the bulk of the enlargement package is situated on the Balkan Peninsula. Setting populism and Euroscepticism as a third and smallest risk was quite bold, but I do believe that the year 2016 brought huge victories to populists and Eurosceptics, although it is exactly this that will bring their doom. The Brexit is a guide to the harms of populism and this already produced results during the repeat presidential elections in Austria, which were not won by the far-right-wing candidate as expected. Greek populists too are losing support in the polls. 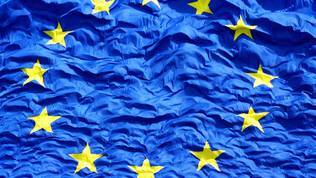 In 2017, there are elections scheduled in the twin-engine of the European Union – France and Germany. The performance of the follower of Nigel Farage and Donald Trump Marine le Pen will prove my thesis that the end of populism is at hand. Populism wins based on twisting facts or the intentional dropping of untruths. 2017 will be the year of fighting false news, myths, untruths, and propaganda. This battle is already underway in the European Union, but currently it is not coordinated but rather expressed in spontaneous actions or rather reactions. The important thing, however, is that thanks to the Brexit and Donald Trump’s election the masks of populists came down. This is a significant step in fighting them, but is also a challenge for mainstream parties, which do not look prepared to offer an alternative to their citizens. The biggest mistake of mainstreamers would be to offer more of what they have been offering for decades, and these are inadequate solutions in the 21st century. It is very important that political parties do a deep analysis and come out clean in front of themselves and their voters. One of the reasons for the popularity of populists and Eurosceptics is that traditional parties failed to realise that their ideologies from the 20th century are invalid in the 21st. This allowed the appearance of extreme right-wing and extreme left-wing parties, which exploited the side effects of globalisation. Liberal forces lost much and practically there were no progressive political formations to point the way forward, instead of looking for solutions in the past. This is exactly what is needed at the European political scene, so that the Union itself can slide in comfortably into the 21st century and its global reality.